The best vegan protein powder. Comparing rice, hemp, soy, and pea protein powder. Finding the best vegan protein powder alternatives for your unique set of needs can be a daunting task. There are so many products flooding the market place with so many claims of excellence and overnight results that sometimes it is just easier to throw your hands up in despair and settle for the first protein powder you come across. While this is understandable, it is not necessarily the way to best maximize your dollar and your workout routine. This article will highlight the benefits and differences between the leading varieties of the best vegan protein powder so that you – the consumer – can make the ultimate informed choice BEFORE spending the money. Soy protein has long been the most commercially accepted protein powder on the market. Especially among women, soy is seen as the leading vegan and vegetarian alternative for just about any food. Why? Because the soy bean contains a comparable level of protein to make up for a diet lacking in meat and dairy. For those who are comfortable using soy - or perhaps already use soy on a daily basis for other purposes - soy protein powder is an easy alternative to consider. There are about 30mg's of protein per serving in most soy protein powders, making soy an "average" protein compared to the other plant based protein powders. Rice protein powder is often considered a “cheap” plant protein powder. Although some products on the market are not the best, rice protein powder has received a bad rap. Most importantly, it is key to make the distinction between white rice and brown rice protein powder. Brown rice protein is not only healthier as a more complex food, but it is also full of amino acids and is easy to digest for hypoallergenic individuals. While it may not contain as many protein grams per serving as mainstream protein powders, rice protein has a top tier quality of protein and is highly mixable. 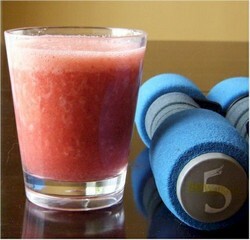 This means it is ideal for mixing with other protein shakes, powders, or supplements. Hemp protein is the newcomer to the plant based protein powder market. While it is relatively unknown it does pack quite the punch in terms of positive benefits. Hemp has numerous "good" omega fatty acids, including 3, 6, and 9. Much more than just a protein supplement, hemp has been compared to fish oil and flax seeds for having similar benefits. Depending on the specific brand, hemp tends to deliver more protein per serving than the other plant based protein powders. The thing that throws some people off is the unique taste of hemp. While not overpowering, it is distinct enough to turn off some people to it. Pea protein powder may sound relatively low key, but it is as close as it comes to finding the best vegan protein powder out there. It is both affordable and as good or better than rice, soy, and hemp protein without any of the lingering taste and with the maximum protein content per serving. Pea protein powder is easy to digest and packs a high quality protein powder punch with over 5 BCAAs per serving. A recent study in Canada by Dr Rotimi Aluko (University of Manitoba in Winnipeg) found that pea protein can help fight blood pressure problems as well as improve kidney function significantly. 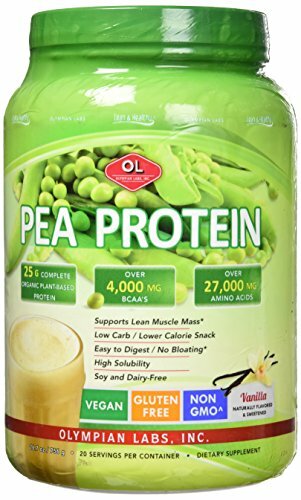 With rising rates of high blood pressure, pea protein powder is more than "just a protein powder". Vitamin D is a vitamin that is essential for good health. Without enough Vitamin D, your body cannot absorb calcium and phosphorus effectively. The results can be debilitating.